ndy Warhol 1982. ARTIST ROOMS Tate and National Galleries of Scotland. Southampton is getting ready to paint the town from Sunday 27 March, when it plays host to a major exhibition by Andy Warhol (1928 – 1987), one of the giants of 20th century art. Nearly 200 works, including paintings, prints, posters, photographs and film, will be displayed across two of the city’s most prestigious art galleries, Southampton City Art Gallery and the John Hansard Gallery at the University of Southampton. The works on display are part of ARTIST ROOMS, a new collection of modern and contemporary art held by Tate and National Galleries of Scotland for the nation. This free exhibition, which runs until 26 June, will explore Warhol’s fascination with fame and celebrity, giving visitors an overview of his work from 1951 until his death in 1987. Southampton City Art Gallery will explore contemporary culture and icons by exhibiting major paintings and over 100 prints and posters, alongside an Andy Warhol ‘Factory’ style activity space for young people and families. 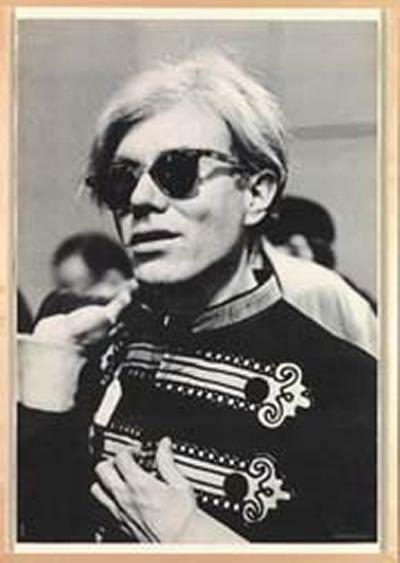 The University of Southampton’s John Hansard Gallery will focus on Warhol’s hugely influential film and photography, showcasing rarely-seen stitched photographs and self-portraits, alongside iconic film works from the Andy Warhol Museum in Pittsburgh and four striking photographs of Warhol by Robert Mapplethorpe, also from the ARTIST ROOMS collection. To accompany the exhibition a wide range of workshops and events have been organised for all ages. Highlights include weekly Gallery tours, Arts Award drop-in sessions for young people, a two-day Warhol conference in June and a variety of fun holiday activities. Other citywide organisations are also getting involved. The annual Ejector Seat Arts Festival on Saturday 4 June will feature a Warhol-related fashion event and local venue Pop have organised a 15-week programme of Warhol-inspired events, including music and spoken word events. Southampton City Art Gallery is internationally renowned for its impressive art collection of over 3,800 works, spanning six centuries of European art history. Its holdings of modern and contemporary British art are recognised as among the finest in the UK. Thousands of visitors explore the exhibitions and displays every month and, through a programme of educational activities, the Gallery provides opportunities for greater access, involvement and understanding of art, for people of all ages. Southampton City Art Gallery is part of Southampton City Council. John Hansard Gallery is one of the UK’s leading public galleries of contemporary visual art. Based on the University of Southampton's Highfield campus, it showcases the work of some of the world's most innovative artists and curators through exhibitions, off-site projects, national and international partnerships, research, publications, education and outreach programmes. John Hansard Gallery is part of the University of Southampton and supported by Arts Council England. Southampton City Art Gallery and John Hansard Gallery are delighted to announce generous sponsorship from a number of local organisations including ExxonMobil who are supporting the exhibition catalogues and leaflet, as well as the exhibition’s learning and outreach programme. uni-link, the University of Southampton’s award-winning bus service, is promoting the public transport link between the two venues, Hilton Hotel are supporting the Private View and Oxford Exhibitions Services are sponsoring the specialist art transport required for this exhibition.